KGB LAUNCHES “SEPTEMBER TO REMEMBER” WITH A BANG! 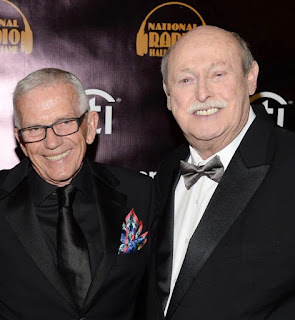 San Diego, CA – June 8, 2015 – 101.5 KGB FM, San Diego’s legendary Classic Rock station, kicks off a Classic Rock filled September celebration with the 40th Annual KGB Sky Show after the San Diego State Aztecs vs. University of San Diego Toreros NCAA football game at Qualcomm Stadium on September 5, 2015. The KGB Sky Show is synchronized to a custom soundtrack that can be heard in the stadium, on-air at 101.5 FM, and via live stream at 101kgb.com. The Aztecs vs. Toreros game is the first meeting of the two teams since 1961 and kicks off the season for both organizations. For the past 40 years, 101.5 KGB has entertained San Diegans with a spectacular display of pyrotechnics with “The Biggest Fireworks Show West of the Mississippi.” Each year, KGB develops a new show theme and works with a production team from Fireworks by Pyro Spectaculars by Souza to choreograph a musical soundtrack and pyrotechnic display that brings the theme to life and leaves the audience in awe. Sky Show is a massive fireworks presentation that takes months of preparation. The production culminates in a production that takes more than 60 pyro-technicians working with ten computers to discharge more than 5,000 shells set up in numerous locations throughout the stadium, including: 31 parking lot locations, 16 playing field locations, and atop the light board. The 40th Annual KGB Sky Show is presented by Sycuan Casino. The KGB Sky Show on September 5, will begin a month-long Classic Rock celebration that as the “Greatest Month of Rock-and-Roll in San Diego History!” Every weekday, KGB will be giving away concert tickets including: ZZ Top - September 13; The Who - September 14; The KAABOO Music Experience - September 18-20; Def Leppard with Styx and Tesla – September 22; Foo Fighters - September 24; Loverboy - September 27; AC/DC - September 28; and Van Halen - September 30. 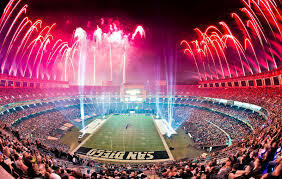 Single game tickets for the San Diego State University vs. University of San Diego, which include the post-game Sky Show fireworks, go on sale July 20, 2015. KGB listeners may purchase pre-sale tickets with a special Promo-code available at 101KGB.com. 101.5 KGB is a leading media outlet in the San Diego market. The stations' programming and content are available across multiple platforms, including its broadcast station; online via its branded digital site; mobile; and social, with nationwide listening through iHeartRadio, the all-in-one streaming music and live radio service with its more than 600 million downloads, nearly 80 million social media followers and 87 million digital uniques across the Network. Sycuan Casino isn't my favourite but I played here twice. Now I'm looking for something new https://casinority.com/most-expensive-casino-buildings-ever/ Can you recommend something from this list?